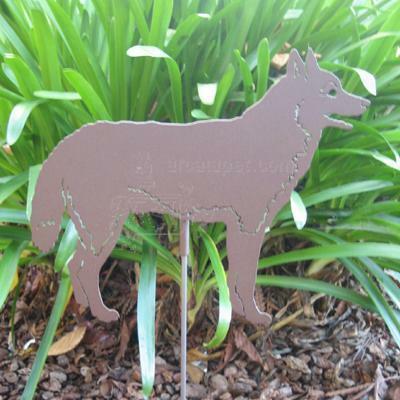 This metal dog can be used to add color and interest to your garden, yard, deck or home. Cut from steel, each comes with a 30-inch steel rod for placement directly into the ground or planters. FINISH: rust colored powdercoat. This finish very closely resembles the natural rusting process, except that it will be consistent in color.